In "Cause and XS" The Flash revisits the idea of timeloops and altering the past. For one hour Barry (Grant Gustin) enters the Speed Force in order to speed up Cisco's (Carlos Valdes) meta-human cure. However, this leaves the rest of the team vulnerable to Cicada's (Chris Klein) attack. 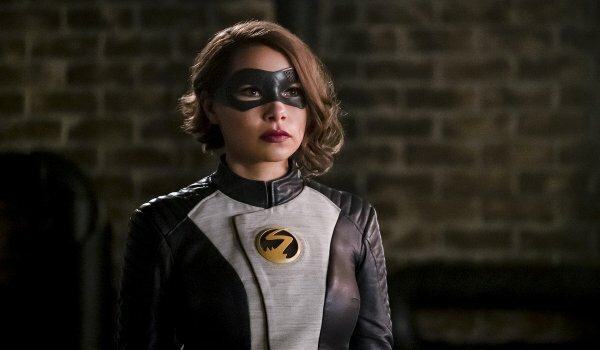 Despite doing her best, Nora (Jessica Parker Kennedy) watches someone close to her stabbed to death with the super-villain's dagger no matter what changes she attempts to make to events by traveling back an hour to set things right. Only Cisco's minor vibes clue him in that something odd is going on as the episode offers a few different awkward first dates with Kamilla (Victoria Park) in the sequences set to provide the lighter moments in contrast to the large amount of death Nora is incapable of stopping. Nora's inability to get into the Speed Force or travel farther back before Barry enters certainly feels a bit convenient. That said, the episode does a great job in putting Nora front-and-center making hard choices and dealing with 52 different versions of failure. Barry's small role here does also allow him to pass on his lessons about time travel and the unintended consequences of changing the past. Playing into the season's larger arc, Nora's new experience with altering the past makes her question a bit about the Reverse-Flash's (Tom Cavanagh) plans which, apparently, are to save the Flash from the coming Crisis. But is that what he's really after or might there be some unintended consequences to helping the Flash?